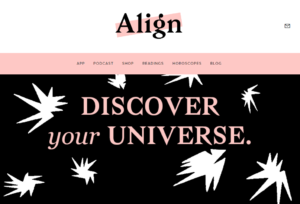 The Align Dating App comes to serve the NYC and Los Angeles online dating community through astrology dating. DoYouAlign.com (the website of Align Dating) have created a free to download local astrology dating app for iPhone users which brings together singles in New York and LA according to their astrological sign. Once you download the Align Dating App it will send you a daily constellation of singles looking for love, a relationship, or to date online directly to your mobile phone or tablet. The easy navigation offered by the Align App make it very intuitive to use on your iPhone or mobile phone. If you are into astrology this Los Angeles and NYC dating app will help you find the soul mate you were looking for based on your astrological compatibility. The Align Dating App puts you at the center of the universe according to your astrological traits and hooks you up with other singles who match your profile. The dating app is available only for iPhone currently but has a growing online astrology dating community in NYC and LA. The local search options make it easy for you to find a match who you could contact for a chat, or to hook up for a date. This astrological dating app is just about perfect for singles located in New York or Los Angeles and who are looking to meet for romance or to date online through their mobile or tablet. If this app is not suitable for you, be sure to check other iPhone dating apps and Android dating apps which we have reviewed (and which you can download right here). Currently there’s no Align mobile site available. It is a shame that while Doyoualign.com does serve as the Align App profile website, it doesn’t offer a way to login or register through the website itself. 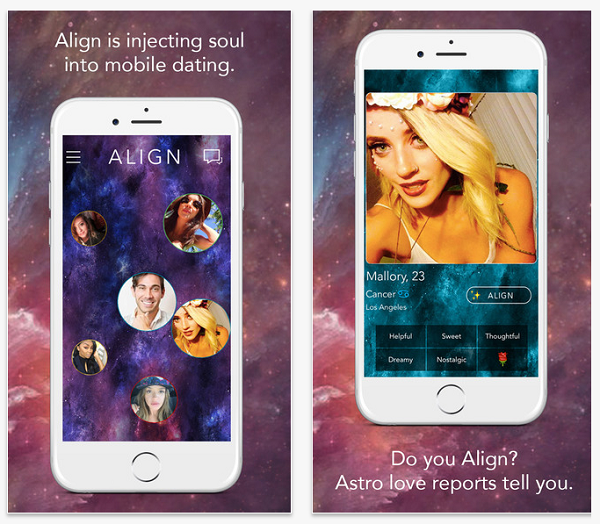 For now users will have to download the Align mobile app if they wish to become members of this astrological online dating service. Compatibility descriptions based on your sign. 24 hours response time to singles who contacted you. Daily constellation of potential matches. Private messaging when you and another member align. Sign specific traits and emojis available to help you build your profile. Change your screen background according to your sign. Use the constellation assessment tool (which helps you learn about potential matches according to the size of the starts around you). 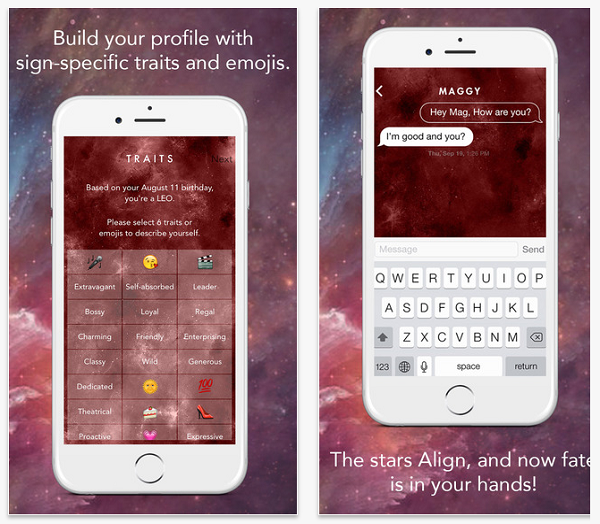 For users of iPhone who are into astrology, the Align Dating App does look like a good option. If you are located in NY or LA and are looking to find love, a relationship, or to go on a date with a like minded astrology enthusiast then you should download the app. It offers a nice twist on casual online dating and opens up a niche for astrology dating through your iPhone, mobile, or tablet. However, we did notice some reports of users who did not like the Align App so much. Reports of the application not working after download, or being available only in New York, Los Angeles, and the Bay area have been registered. So, we do advise you to take notice of these reports and make your own decision about downloading the Align Dating App to your iPhone or not. The Align Dating App is not available for Android users yet. What do the circles mean in my constellation? The bigger the circle of a star the greater alignment or compatibility with your profile – meaning a better match for meeting or a date. Why isn’t the Align App offered in other cities in the US? The Align Dating App is expanding and will gradually be available in more and more cities. How can I contact Align?